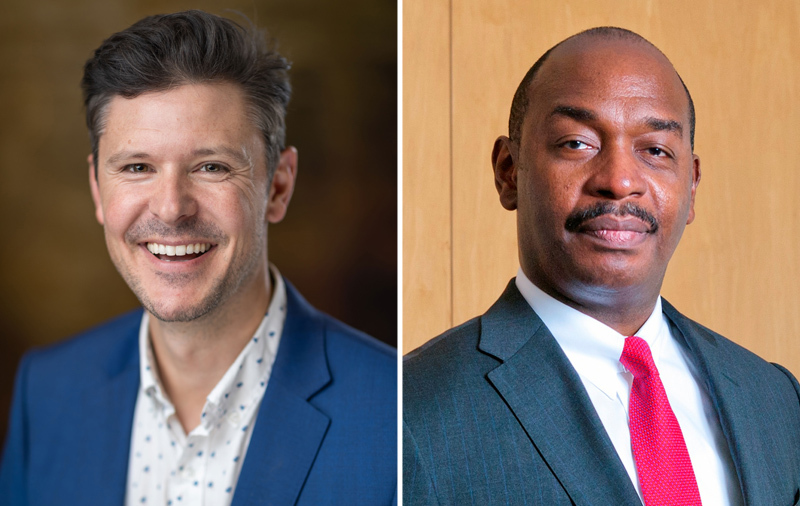 Comedian Tripp Crosby and Executive Chair of the Bermuda Monetary Authority [BMA] Jeremy Cox will be spotlight speakers at this year’s Bermuda Captive Conference. A spokesperson said, “Both will address the three-day conference June 10–12, Bermuda’s largest and longest-running industry event, now in its 15th year at the Fairmont Southampton. “Incorporating a full slate of moderated panel discussions, networking and social opportunities, plus a trade floor showcasing support services and organisations, the event annually attracts more than 800 captive insurance managers, brokers and service providers, corporate risk managers, and captive owners. “Crosby, a filmmaker, comedian and host who will be the lunchtime keynote Tuesday, June 11 at 12:30pm, is widely known as the director of Tripp and Tyler, a YouTube sketch comedy duo he stars in with fellow funnyman Tyler Stanton. “Their shorts have amassed millions of views online and made headlines in media like the Today Show, Late Show, CNN Headline News, Huffington Post, and Mashable. Their best-known sketch, the workplace comedy “A Conference Call in Real Life,” has gained a viral internet following. The spokesperson said, “Based in Alpharetta, GA, Crosby is a performer whose career is also flourishing behind the camera as a director and founder of Green Tricycle Studios, a production company in Atlanta. “In 2014 he was selected by Saatchi & Saatchi as a member of the Cannes International Film Festival New Director Showcase, and since then has continued to direct commercials and entertainment for major brands [Fuze Iced Tea, Verizon, Ford Mustang, Canon, Constant Contact, GoDaddy]. He recently wrapped his first narrative short that will debut on the festival circuit this year, and is currently writing his first feature-length screenplay. “March 31 is the early-bird registration deadline for the conference whose agenda is packed with educational sessions, keynote speakers, social activities, and networking events. This year’s theme, “Elevate,” encourages risk managers to consider the many ways captives can contain costs and manage coverage, whether for a Fortune 500 corporation or mid-sized business. “Last year’s event was hailed for its diversity and innovation by delegates, and attracted the most captive owners and risk managers in its history. More than 800 attendees registered from the United States, Canada, Latin America, and the United Kingdom, as well as Bermuda. A video of the 2018 event can be viewed here. “Bermuda is the premier captive insurance jurisdiction, home to more than 700 captive companies generating about $40 billion in annual gross written premiums. The sector recorded continued growth in 2018, registering 19 new entities, according to the Bermuda Monetary Authority [BMA].